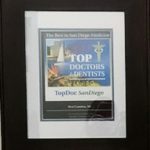 Since 1990, Carlsbad Chiropractic has been working to provide the best chiropractic care for patients in Carlsbad, Oceanside, Vista, Encinitas and surrounding areas. 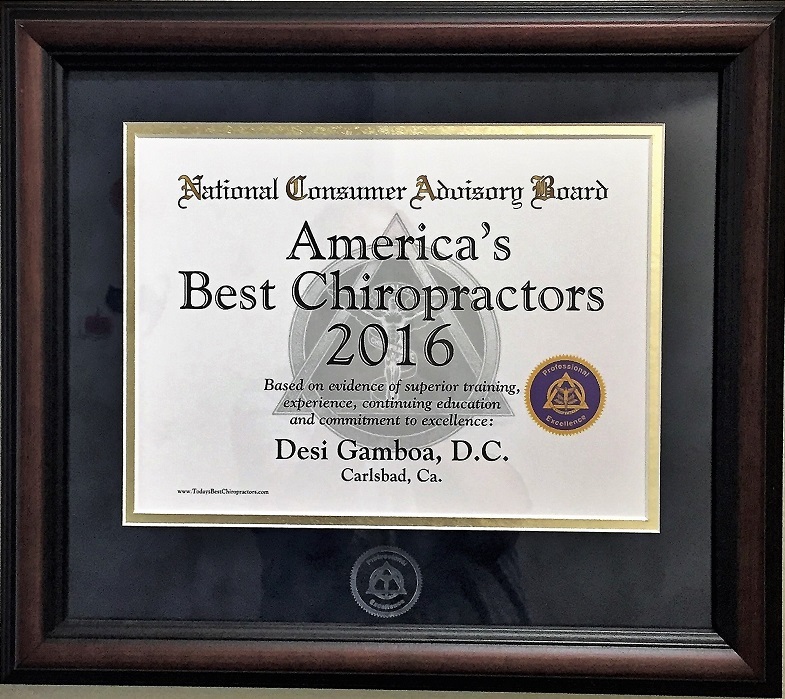 Dr. Gamboa’s experience in Chiropractic Care is reinforced by his genuine concern for his patients. "I went to visit Dr. Gamboa in a desperate plea for help with my back pain issues which have deteriorated over the years as a result of 2 horrific car accidents in the past. I was amazed to see that Desi (love that name) was more interested in giving me relief and hearing my story than filling out paperwork or identifying insurance or payment plans. I said that I was unemployed and needed to get back to work and he replied that we can work all that out later, lets just get you fixed now. That is how I would define a true human being." "My whole family is super happy to have found such a great Chiropractor!!! Dr. Gamboa is experienced, knowledgeable and actually listens to you. My oldest brother was a Chiropractor and since retired. After trying unsuccessfully to get in with a good Chiropractor I found Dr. Gamboa. We all really appreciate the professional yet relaxed atmosphere of his office. The people that work there are happy and it shows. The office has great mojo and so does Dr. Gamboa." "Went in for the very first time and immediately welcomed. Super friend staff and amazing doctor. By his just looking at me he told me exactly where I was in pain!!!! Super amazing. I look forward to my next visit. Totally recommend him." "I could barely walk into his office that day,but when i left less than an hour later I was able to walk out the door perfectly fine. Its been 2 days since that visit and I'm almost 100℅ pain free,which is something I haven't felt in an extremely long time. He's a very knowledgeable person and to be able to remove all the pain I had for 6 years in 1 visit is pretty amazing in my book! He has a very friendly staff as well that makes you feel right at home so give him a try!" 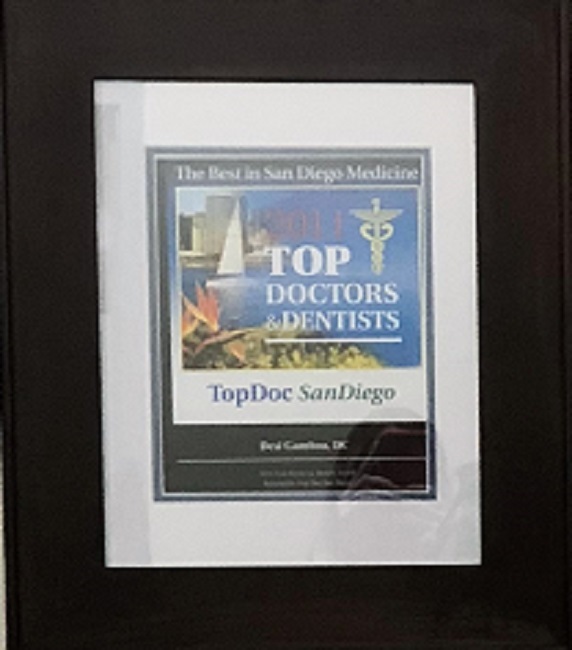 "Dr Gamboa and his staff are amazing!! Super friendly and accommodating. This will be the second time this year I’ve come in hunched over and barely able to walk with extreme lower back pain. He took about 50% of the pain away with first treatment and just had my second visit this morning and I’m so happy to be almost 100% healed!! 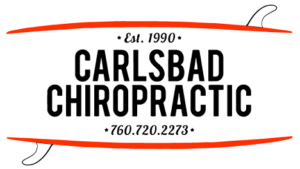 Thank you Carlsbad Chiropractic for your reasonable prices and for taking such great care of my back." "Dr Gamboa is the friendliest man and not to mention always happy to do an adjustment. His staff is incredibly nice too!! I've used him for my whole family from stiff necks, whiplash, and shooting arm pain. Every time he helps tremendously!!" "This place is great. They get you in and out and will work around your schedule the best they can. They don't rip you off with all the BS many places try to sell you on. I hope I don't have to come back but if my back hurts again, I'll be there." 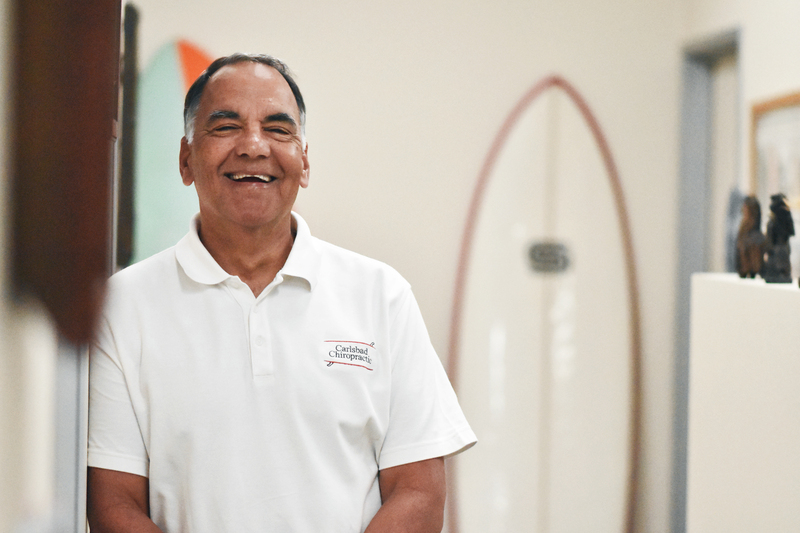 "Following just the 2nd week and 4th treatment of neck and back by Dr. Gamboa, I’ve made a dramatic improvement in range of motion without pain. Dr. Gamboa will tell you “I know what I’m doing” and he actually does!!!"